Internships are a vital part of an engineering education. They offer students and recent graduates practical and hands-on technical experience as well as the opportunity to apply their knowledge to real world problems. These internships also offer networking opportunities for interns get to know people in the company where they intern and their industry as a whole. 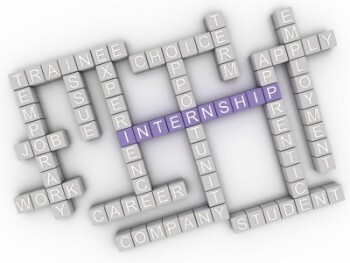 Many companies offer internship opportunities and deadlines at varying times throughout the year. Two exciting opportunities are currently open and accepting applications for the summer of 2016. Offered through the US Department of Energy (DOE), this internship is seeking current university students or recent graduates for paid internships through the DOE’s Office of Energy Efficiency and Renewable Energy (EERE) Advanced Manufacturing Office. The program seeks students and grads who have experience in robotics competitions. Various corporate partners across the US will host hands-on, short-term internships where participants will engage in research and other technical activities under the guidance of a mentor engineer or other technical supervisor at the facility. A housing allowance of $150 per week for interns whose home location is more than 50 miles from the internship location. Must be a US citizen and 18 years of age before the start of internship period. Prior experience in high school, college or university robotics competition program. Must be either a current student enrolled in an accredited US college or university working toward a degree in robotics, engineering or manufacturing; or a recent graduate with one of the above degrees awarded within the last 5 years. The application period opened January 8th, 2016 and will run until March 4th, 2016. Full details and application submission can be found here. Another internship opportunity currently accepting applications for summer 2016 is offered through the Institute for Advanced Composite Manufacturing Innovation’s (IACMI) Composite Institute. This 10-week program is seeking undergraduate and graduate students interested in the creation and adoption of advanced composites that will lead to energy savings and new manufacturing jobs. Participants will have the opportunity to use state of the art equipment and technology for hands-on learning to help young engineers refine their skills. Interns will also have the opportunity to work with engineers and researchers at the top of their field. 10-week placement at one of IACMI’s partner sites. Weekly stipend commensurate with academic level, $600 for undergraduates and $750 for graduate students. Weekly housing allowance of $175. Limited in-bound and out-bound travel assistance to and from the internship site. Must be a US citizen and 18 years of age at the time of internship. A current student in good standing with an accredited US college or university. A minimum cumulative GPA of 3.2 or equivalent, as verified by updated transcripts. The application period is currently open and will be accepting applications until March 15th, 2016. The full details and application process are available on IACMI’s website. New and upcoming internship opportunities occur throughout the year, so if the summer of 2016 doesn’t fit with your existing schedule, or the above internships aren’t related to your area of interest, there are many other options.